The Patagonian Toothfish is a traditional product and the pride of SAPMER. Known as the “white gold” of the French Southern seas and Antarctic lands, this fish is a rare delicacy with an incredible taste. The Patagonian Toothfish, living in the deep, ice-cold waters of the Southern seas is a protected species that is subject to strict regulated fishing requirements. SAPMER was the first fishing company to venture into the hostile territories of Antarctica glaciers to earn the privilege of catching this Patagonian Toothfish. 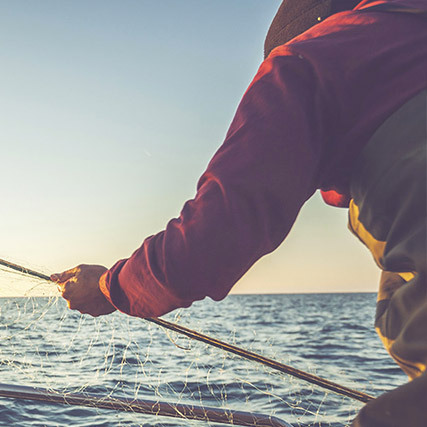 With their unique know-how, SAPMER’s teams brave the raging seas to catch the best while working towards the preservation of the species. A demanding type of fishing that calls for refined technical expertise. Connoisseurs fight over it and the great seafood-loving Asian countries unsurprisingly include it as a star component of the menu in the most prestigious restaurants of the continent. This difficult and rare catch makes of the Patagonian Toothfish such a sought-after, premium-grade product. The absolute “white gold” of the French Southern and Antarctic Lands, the Patagonian Toothfish is prized for its delicate and refined taste, its melt-in-the-mouth texture and its unique flavor. What’s more, as an oily fish, it is also a source of nutrition as it is rich in omega 3, an excellent ally in the prevention of cardiovascular diseases. The Patagonian Toothfish is also packed with proteins, vitamins (A, D, E), numerous trace elements (iodine, zinc, copper, selenium, potassium, calcium, fluorine) and minerals such as phosphorus. Very popular in Japan, this fish deserves wider recognition. 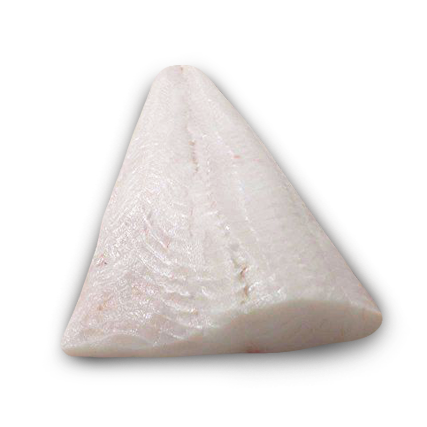 Its melt-in-the-mouth texture and bright white flesh make of it a pure, pleasant and easy-to-cook product. The French Southern Lands Patagonian Toothfish is unique, but the culinary possibilities it offers are plentiful. Try the raw sashimi experience or simply pan-sear it if you prefer it cooked. The MSC Patagonian Toothfish also works wonders if oven-roasted or en papillote (cooked in foil). A guaranteed savory escapade.